Do not seek understanding that you might have faith; seek faith that you might understand. 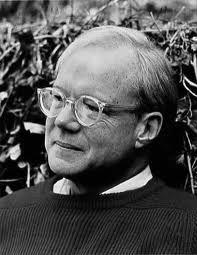 Below are more quotes by M Scott Peck. Consciousness is the foundation of all thinking; and thinking is the foundation of all consciousness. Perhaps the best measure of someone's degree of consciousness can be found in the consistency of his or her general approach to thinking. For example a person who is oriented more toward thinking simplistically has a lesser degree of consciousness than a person who thinks with intensity. Just going around having different experiences is worthless, if one does not learn something about oneself and the rest of the world from the experiences. Mysterious though it is, the choice to actually learn as an adult and devote one's will consciously to growth and learning is the most crucial decision one ever makes in life.